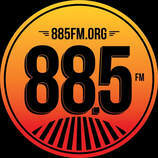 Rock N Roll Times airs every Sunday at 7PM PST in the Southern California region or online at 885fm.org. “I try to focus on the best music—rock to country to pop—of the rock ‘n’ roll era, building each show around a theme, which is frequently recurring. One of the themes I had the most fun was “Two or more artists who have the first or last name: Elvis Presley and Elvis Costello, Patti and Elliot Smith, Jerry Garcia and Jerry Lee Lewis, Jeff Beck and Beck, and Leonard Cohen and Lynyrd Skynyrd, and so on. We’ve also devoted shows to favorite live records, artists from various cities around the world, from Memphis to Manchester, artists who were born in the same month of the year, and landmark albums. The range is wide, and I hope fun. The program is designed to allow older listeners to listen again to some great music and to introduce some of that music to a younger audience.